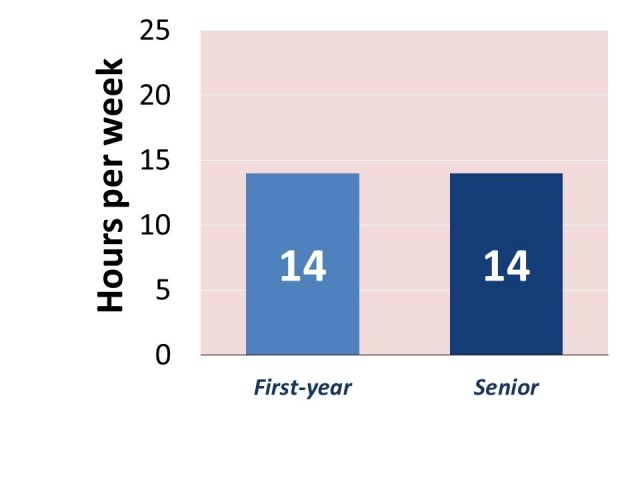 Have you ever wondered how much time your students spend studying each week? 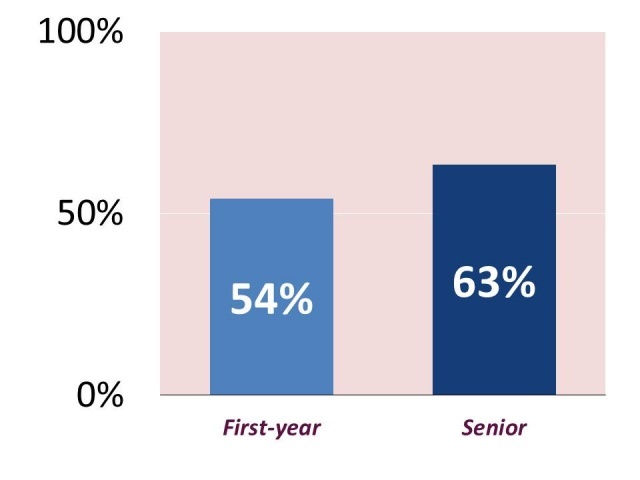 Results from the 2013 National Survey of Student Engagement (NSSE) recent report may, or may not, surprise you. Each year NSSE asks thousands of college and university students to reflect on their learning experiences (i.e., the academic challenge of course work, experiences with their faculty, learning with their peers, and the overall campus environment). Over 2,000 UNT students responded to the 2013 survey. Here is what they have to say on a few items. How much time do you spend studying each week? Do you receive prompt and detailed feedback on tests and assignments? 54% of UNT’s FY students and 63% of UNT seniors said instructors 'substantially' gave prompt and detailed feedback on tests or completed assignments. To learn more about UNT students, please refer to UNT NSSE Pocket Guide Results. For full survey results, visit A Fresh Look at Student Engagement Annual Results 2013. As a faculty member, you are often the key to getting students the help that they need. By being observant and willing to engage with students who demonstrate difficulties, such as changes in behavior, academic performance, attendance, social interactions, and other areas of functioning, you are essential in keeping students and the UNT community safe. However, you may be faced with questions that you cannot answer or issues that you feel ill-equipped to address. The Counseling and Testing Services website provides a wealth of resources for faculty. Keep this printable guide with a list of resources for faculty, staff and students saved on your desktop. Still unsure and need to consult with someone? Call Counseling and Testing Services (940) 565-2741 for more information. The Student Evaluation of Teaching (SETE) is now open through Sunday, December 8th. Please encourage students to complete their survey –-- robust response rates will increase your confidence in the results. Consider having a colleague or graduate student attend your class to administer the survey by asking students to use their mobile device (e.g. tablet, iPad, smart phone). 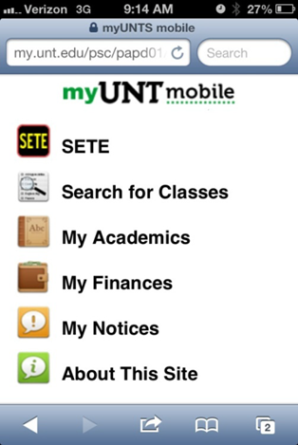 Simply log on to the my.unt.edu portal using a mobile device and click on the SETE icon. Student evaluations are one meaningful measure of teaching effectiveness and can be used to improve teaching and student success, if used appropriately. Sometimes it is difficult to hear what students have to say about our teaching. 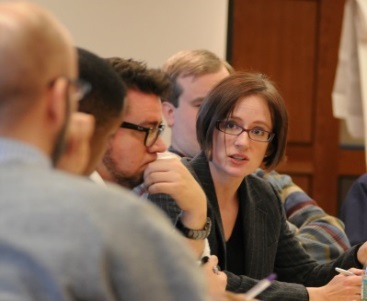 However, in a recent article featured in the Chronicle of Higher Education, the Carnegie Professors of the Year share how their failures in the classroom helped them hone their craft. Feedback, coupled with reflection and action, can be a powerful tool for teaching improvement. As per UNT Policy 15.2.16, pre-finals week refers to the seven calendar days preceding the final week of each fall and spring semester and is designated so that students can adequately prepare for their final exams. During this week, student organizations do not meet and activities requiring student participation such as field trips, athletic events, or performances should not be scheduled unless approved in advance. Please note that no classes are to be held on Reading Day, December 6th. Final exams should be administered at the designated times according to the published schedule. Any deviation from the schedule must be approved in advance by the appropriate academic dean. If a student has three final exams scheduled on one day, they may appeal to their academic dean to reschedule on another day during the final examination period. What Can UNT do to Enhance Student Learning? From now until December 9th, the Quality Enhancement Plan (QEP) leadership team is seeking your input into the development of the 2016 QEP plan-- a critical component in the next institutional accreditation cycle. The team wants to know the answer to one question: “What can we do at UNT to enhance student learning and the student learning experience across the university?” Submit your great idea (or ideas) in 100 words or less via the QEP website. This is an opportunity for a university-wide discussion about ways to enhance student learning and the student learning experience. Registration is now open for the spring Teaching Excellence Seminar (TES), to be held on January 9, 2014 in the Gateway Center. This seminar introduces new TAs/TFs, adjuncts, lecturers, and the faculty at large to best practices in teaching and supportive resources. Please click the following link to access the agenda and online registration portal as advanced registration is required. The CRLT Players will be visiting the University of North Texas with their acclaimed production of Faculty Advising Faculty. This theatrical performance and interactive workshop explores the junior-senior faculty mentoring process for women faculty and examines the many factors, both individual and institutional, that can hinder or foster effective mentoring. The performance will be held on Tuesday, December 10, 12:15 pm - 2:00 pm, Gateway Center 43/47. If you are interseted in attending, please contact faculty.success@unt.edu to be placed on the wait list. UNT’s fall 2014 semester starts on a Monday once again! August 25, 2014 marks the first school day for the new 2014-2015 academic year. UNT's Political Science Department is the home of American Political Science Review. UNT is the first university in the South or Southwest to house this prestigious journal. UNT-International is offering a new course, INST 2980, Global Perspectives: Intro to International Study. The three-credit course is for students who are contemplating studying, researching, interning, or volunteering abroad. Credits can be used towards the undergraduate Global Perspectives Certificate. The Spring 2014 semester is just around the corner and many of you may be preparing your course syllabi. For helpful tips on preparing your course syllabi, please refer to the Teaching Excellence Handbook and HB 2504. 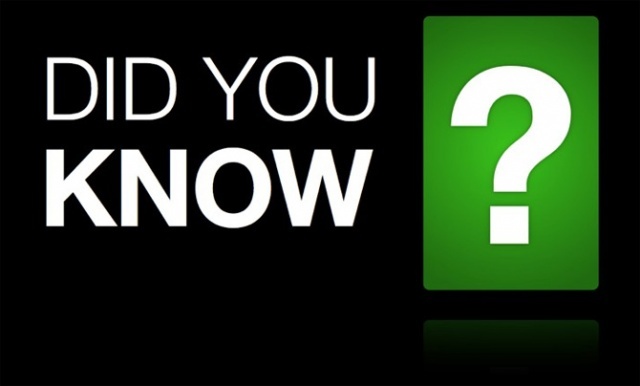 Remember that all course syllabi must be uploaded to the Faculty Profile System by January 20, 2014.